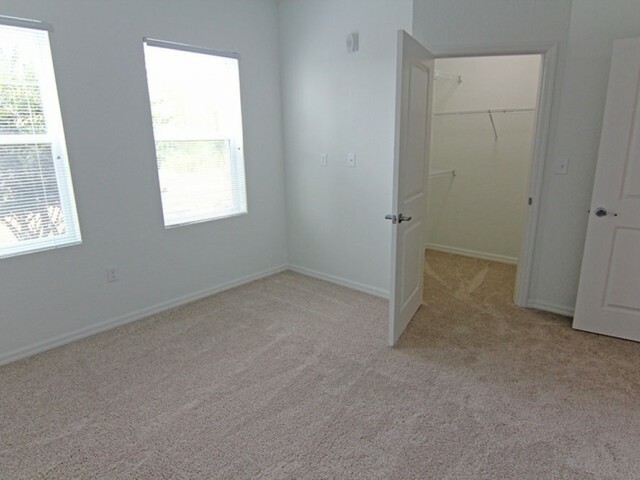 Stepping into one of our spacious apartments feels just like coming home. Finding the right apartment can be difficult, but at Marden Ridge we make it easy by providing all the best features and amenities to improve your living experience. 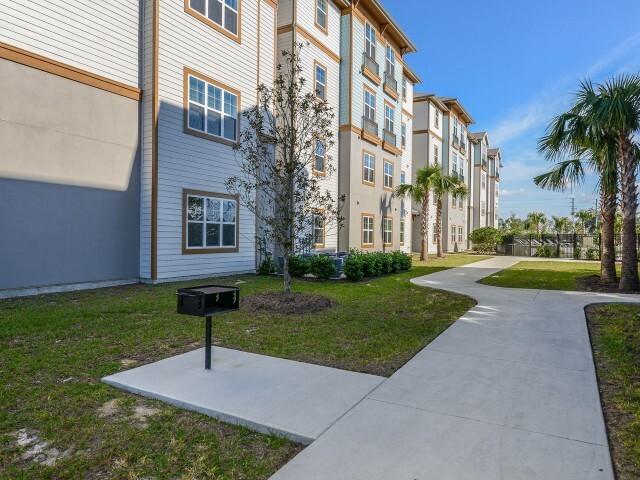 Each apartment home offers an in-home washer and dryer, all electric appliances, walk-in closets, double vanity sinks in the bathroom, and much more. Enjoy sleek wood tile flooring for a modern look you will love. Soak up the sun in your very own solarium! 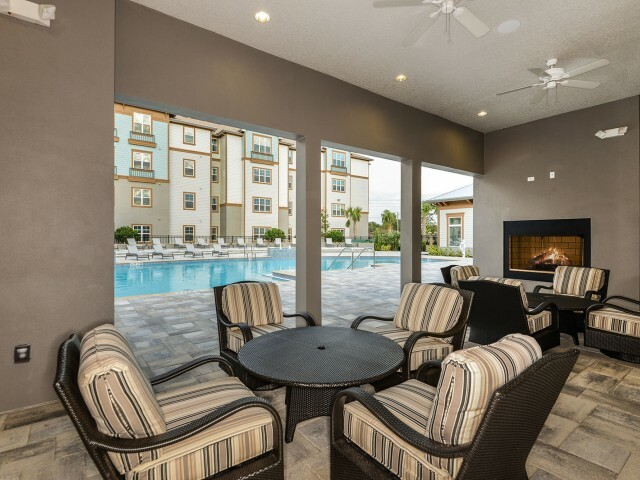 Our exciting community features allow you to extend your home beyond your apartment. 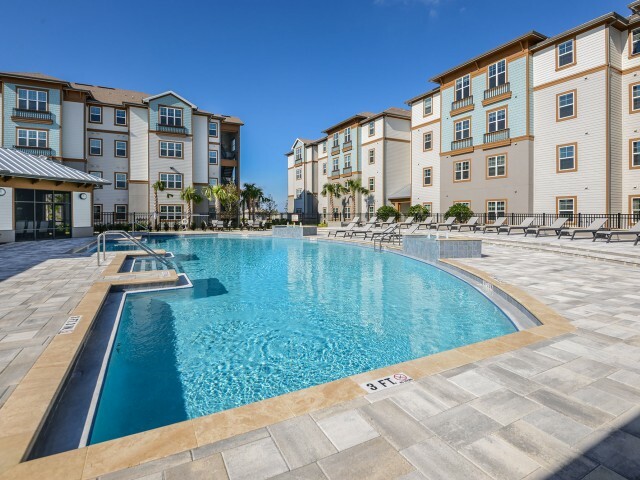 Our beautiful resort style pool and sundeck make the perfect relaxation spot on any warm, sunny Florida day. 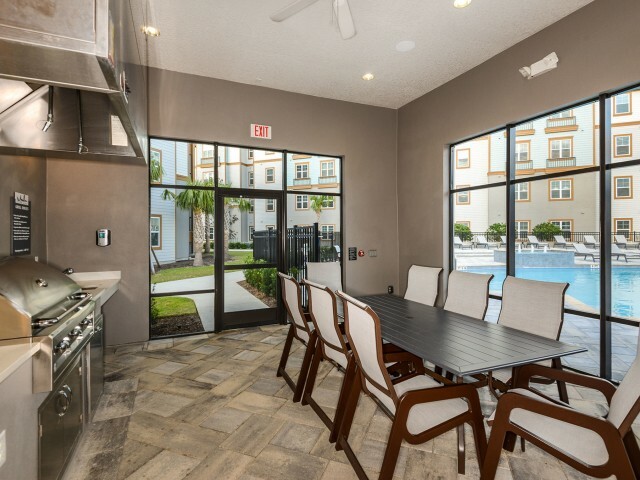 Hold a meeting in our conference room or host a party in our summer kitchen. 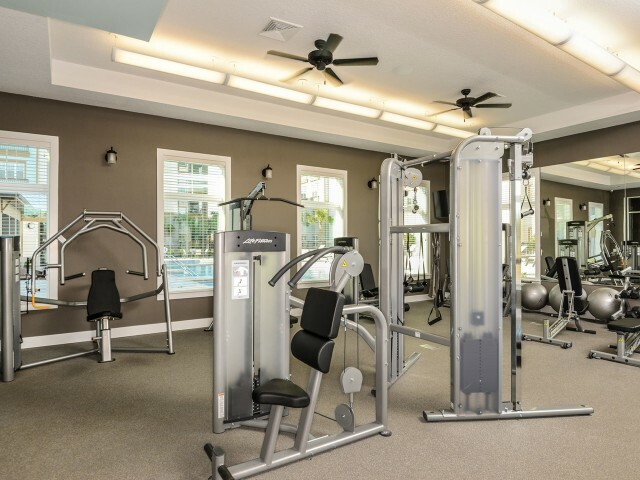 Enjoy our Life Fitness studio to work out on your schedule. 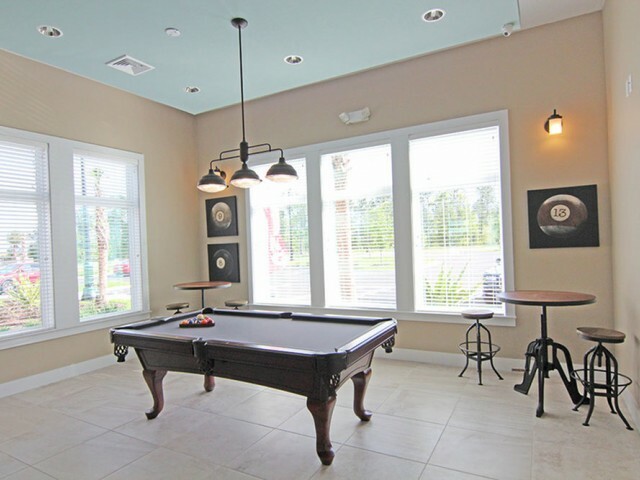 Enjoy a game of billiards in our community game room. 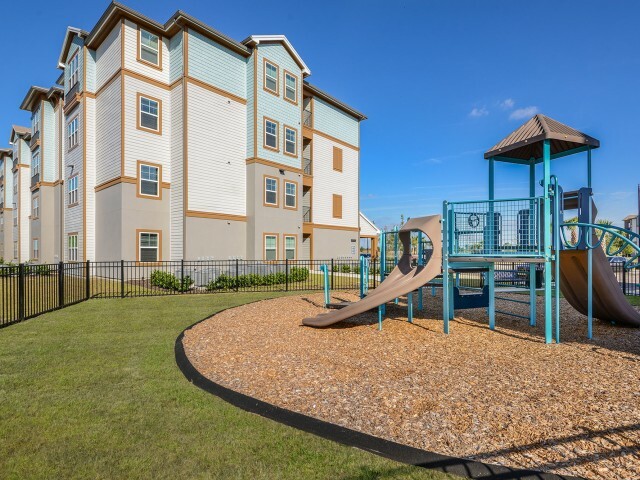 Our younger residents will love our large outdoor playground. There is something for everyone to enjoy here at Marden Ridge. 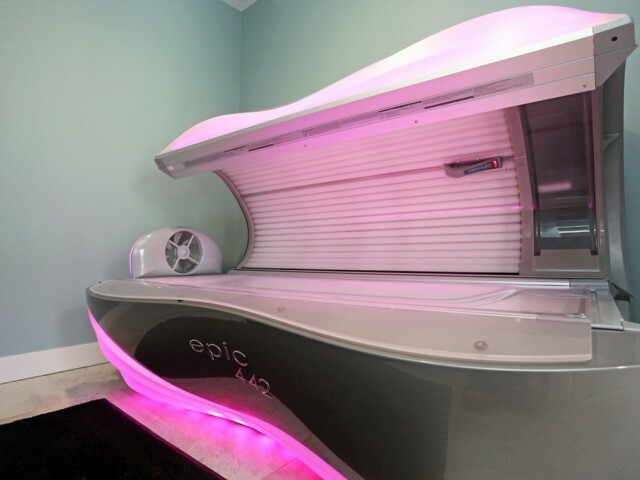 Discover one of a kind amenities like our tanning booths, theater room, poolside fireplace, and Starbucks coffee bar. 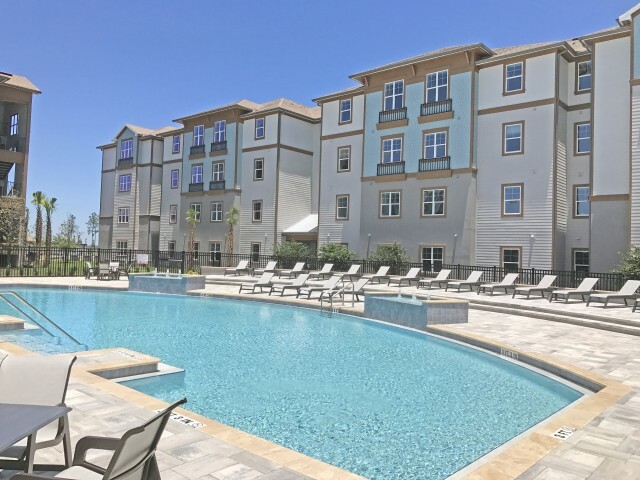 You’ll love living here, so apply online today to reserve your spot! Gorgeous, sun-soaked pool and deck with sunning chairs provided. Open for a dip, all year 'round! Never worry about your deliveries ever again! 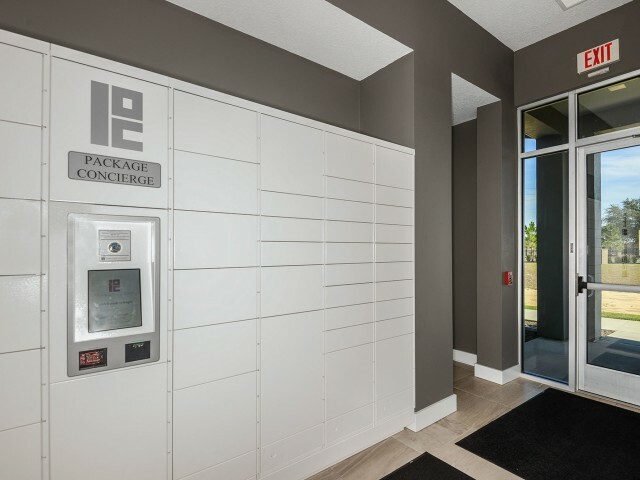 Package Concierge is here to hold your deliveries until you are able to make it home to pick up. Open 24/7 so that the office doesn't have to be open for you to retrieve packages. Weight machines, free weights, cardio machines & more! Located next to the summer kitchen, veranda and poolside. Grab a cup of Starbucks, every day. Both sun lamp and sunless spray tanning booths! 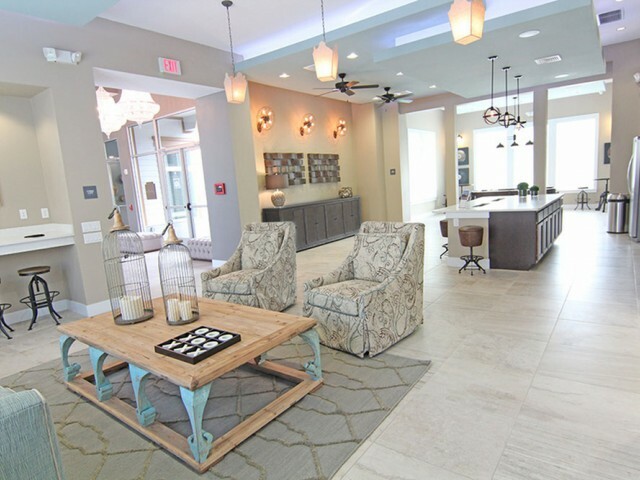 The Clubhouse houses most of our wonderful amenities - pool, tanning, fitness, package concierge, theater room, party rooms, business center, conference room, summer kitchen, veranda, fireplace & more! Enclosed, but open to the pool and community fireplace. A stainless steel grill, tons of prep space and a table that fits you and all your friends for a weeknight or weekend cook-out! Comfy couches to sit and relax and watch a variety of streaming media on our large flat screen television! Sun-soaked and ready for relaxation! Enclosed cooking area, patio furniture and fireplace. Located in the clubhouse, can be used for local area businesses or can be booked by residents! Tot lot amenity for the younger residents. We think of you all! Computer access along with basic business features. Various sized storage rooms to fit your needs. Trash picked up at your door! No more dragging trash to a far off dumpster. Enjoy the sun and extra square footage with your solarium room! Say goodbye to trips to the community laundry room or laundromat! Apartment homes have your own, full-size, in-suite washer and dryer! No smoking here at Marden Ridge. Breathe easy! For easy access to the higher floors! Included in rent for a small monthly fee. You won't find it cheaper anywhere else! Room in-unit for dining room table and chairs. Ice maker included in each freezer. No sink and hand washing dishes at Marden Ridge! 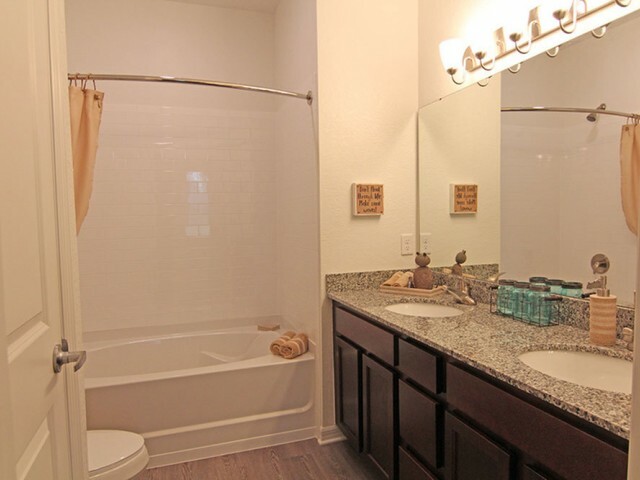 Master suite bathrooms feature double vanities in 2 & 3 Bedroom apartment homes. So big you can not only walk in them, but you could probably have a dance party in them too.